You probably want to correct the spelling of the name from “Guiseppe” to “Giuseppe”. BTW great blog! keep up the good work! Thanks, tpyos are always sneaking up on me. I saw this very painting just recently – face to face as it were. It’s in the current “Renaissance Faces” exhibition at the National Gallery in London. There are lots of terrific paintings in the exhibitions and it’s well worth going to see if you’re in London in the near future. 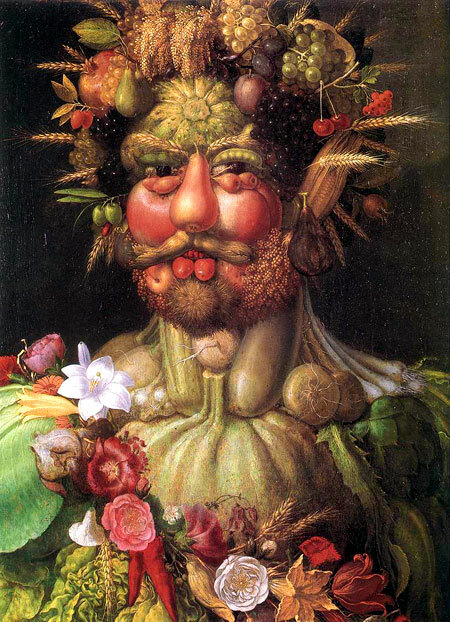 There’s also a Taschen volume about Arcimboldo which is interesting. See my blog post Renaissance Faces at the National Gallery for further comments on the exhibition and links to details about it. I completely agree with your assessment that his visions may have been due to time for creativity instead of mental illness. It bothers me when people attribute creative genius to drugs or mental illness. 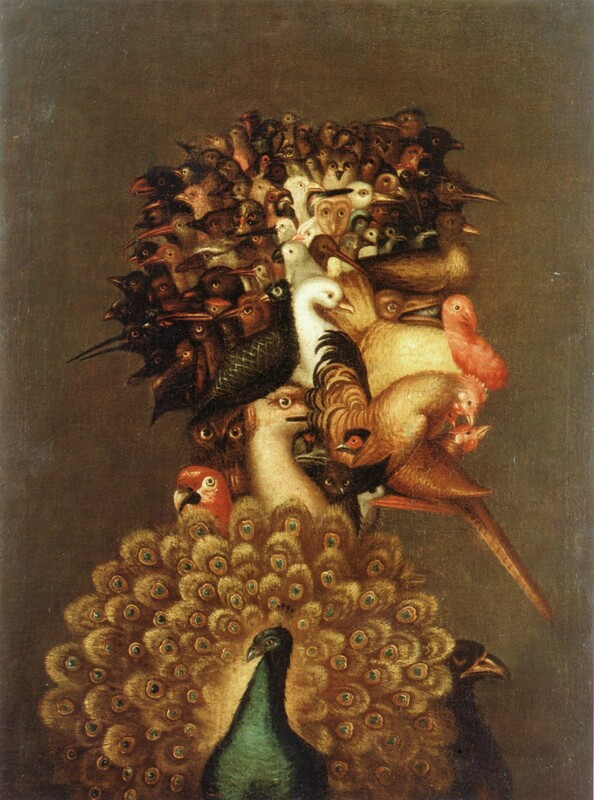 Archimboldo’s works were stunning, and in them I feel you can see the roots of Surrealism, optical illusions and fantasy. Absolutely stunning.